EXCLUSIVE: ABC will shortly pull Spicks and Specks from Wednesday nights, conceding it hasn’t performed as well as it had hoped. 3 more episodes will screen before it is parked. 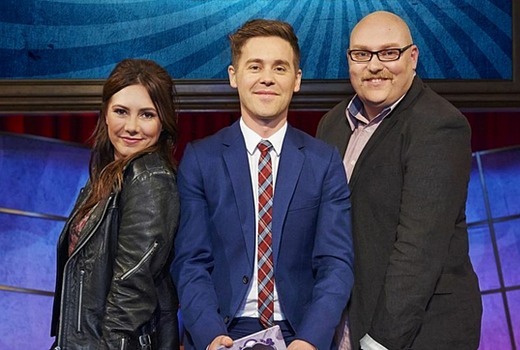 The rebooted show was largely well-received by critics, with many acknowledging the degree of difficulty it faced in replacing Adam Hills, Myf Warhurst and Alan Brough. The original production order was extended from its initial 20 episodes to 26, all of which have been filmed. But ratings have not improved against stiff competition, last week attracting 490,000 in Overnight viewers. ABC will now hit the pause button at episode 20 and reschedule the remaining 6 eps later in the year. ABC1 Channel Controller Brendan Dahill said, “Josh, Ella and Adam did a terrific job of breathing new life into Spicks and Specks. No word on the reception for Jonah from Tonga, which has tracked even lower. ABC is yet to confirm what will take its place. All these underdone entertainment shows at the ABC got the green light by the programmer and head of entertainment. There is a long list now which have cost the ABC many millions. Who in the ABC is going to fall on their sword for them? If the ABC is determined to chase ratings then somebody must accept full responsibility for their failure. Otherwise we’ll see more. A change of management is required. Very sad to hear ABC will not give the new Spicks and Specks time to grow an audience. I think the new team has done a great job in developing their own style and introducing some new games. Josh is a little ‘young’ to gain immediate respect, but he is maturing. Give it a chance. Wednesday night is stiff opposition. Show is only as good as it’s guests sometimes too! The regular panellists were lacklustre. But Josh was a good host – and cute as a button! The original Spicks and Spec just clicked. It was the right programme at the right time and had a terrific cast. The ABC wasn’t going to be able to repeat that. They were only trying because other attempts at light entertainment shows failed. They need to take risks and keep trying new things. It may take a while to find something that works but endless churning out the same old stuff, including Chris Lilly, is a guaranteed fail.